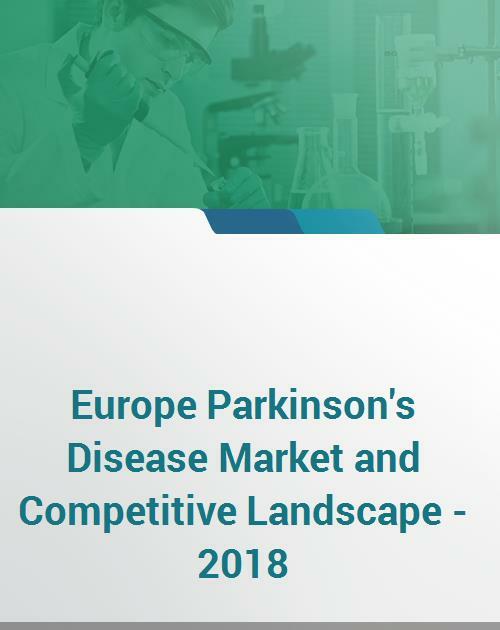 The latest research Europe Parkinson's Disease Market and Competitive Landscape - 2018, provides comprehensive insights into Parkinson's Disease pipeline, epidemiology, market valuations, product sales, market forecast, product forecasts, and market shares. This study accurately estimates and forecast Parkinson's Disease market size and drug sales. This research also provides insights into Parkinson's Disease epidemiology and late stage pipeline. The research is classified into following sections - Parkinson's Disease overview with definitions, symptoms, etiology, diagnosis, treatment options; Parkinson's Disease pipeline insights covering late stage clinical trials pipeline; Parkinson's Disease prevalence trends by countries; Parkinson's Disease market size and forecast by countries, market events, trends; product sales and forecast by countries; market shares by countries. The research scope includes EU5 countries - Germany, France, Italy, Spain, UK, Europe.